I just love your black and white moon shot. I enjoyed your article on using a disposable camera too. My son had bought me a Nikon SLR Digital camera for my birthday but even though I love the camera I find it so much easier to whip out my Sony Cyber Shot from my purse and point and shoot. I’ve been pretty happy with the photos too. Very nice image. I hope you and your family have a wonderful 2010. Wow! You’ve done it again. Beautiful! Fantastic photo. 2010 promises to be even better. No computer…sounds so relaxing, great way to enter the new year. Love your words and images Wendy , Please keep it coming. What an Awesome shot and moment in time!!!! 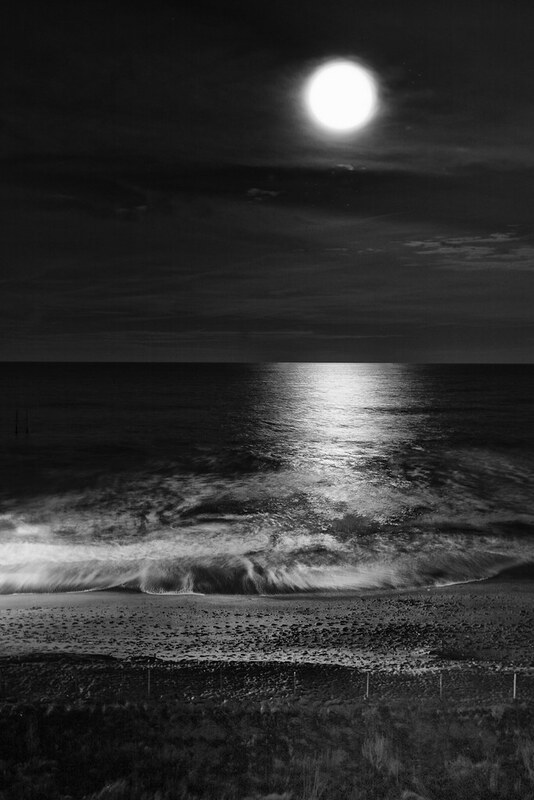 I can feel the moon light on my face and the smell the salt air of the night. Well done!